Campus Technology: Is higher education ready for the cloud? Is higher education ready for the cloud? First of all, what am I talking about. 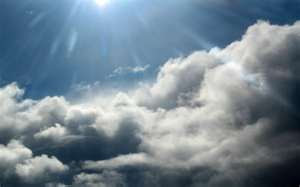 Well the cloud, in contemporary IT circles, refers to cloud computing. Now that sounds sort of ethereal. Don't look up a computer could fall on you. Cloud computing can refer to many things, but for our purposes let's say that it involves operating software and/or storing data off campus in an unknown location. No data center required. Let's also say that the software is important, like your student records, registration, financial management or bursars function. There are many services that can reside in the cloud (email, admissions, word processing, or just general personal storage) but let's think about the "must have" applications. Today most campuses have web based systems which do all of things noted above. This is all good and provides great 24x7 services that are expected by prospective students and parents. All this web activity is linked to servers on the campus. What would it mean if the REALLY important stuff (also noted above) was run from the cloud? Well, this could be a good thing in that it might save electricity, reduce the need for daily data backups, reduce staff, reduce the number of servers required to do things, and get campuses out from under auditors who worry about disaster recovery. Best of all IT can point to the cloud when things are not working quite right. Well that's not totally true. We still "get the call". Cloud computing has many pluses, but it is still very new. At my campus we use it for smaller applications that are not on the "must have" list. So far so good. We used to call cloud computing hosted services. They were very expensive. For some reason the cloud often seems cheaper than hosted services were, but both bring us to the big problem. When using the cloud to run services you don't have control of your data in the sense that you can go over to the data center and touch the server. You may not even have a backup copy of your data. The cloud is deeply rooted in faith and service level agreements. These are often the same thing. Faith is great, but scary in the IT world. We don't deal in faith. Our users really don't deal in faith. All this said, the good thing about faith is that it can grow. This is why schools like mine are dipping our toe into the cloud (perhaps up into the cloud). We hope that all will be well and if it proves to be as faith worthy as we hope, we may go further. Remember, there are many pluses. So, if you are selling cloud services today you may have some success if you are selling services that are not on the "must have" list. I think that we are 5 years away from feeling pretty good about the cloud and more willing to think about moving critical systems to it. In 10 years, however, I think we will all be floating in the cloud, even with the big stuff. In the meantime, baby steps will prevail. You can learn more about the good and the not so good about from a smart person's article from Educause. BTW, this blog is in the cloud. Cool.